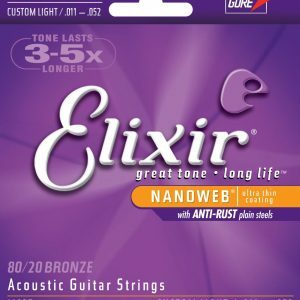 Elixir Acoustic Nanoweb strings don’t just sound great; their micro-thin coating keeps them sounding great for a lot longer than average strings. If you want to keep your guitar tone consistently great day in and day out, put on a set of Elixir Acoustic Nanoweb strings. Their coating actually cuts down on unnecessary finger friction. You’ll be amazed at how long they last! Fewer string changes means having to buy strings less often. Elixir’s 80/20 Bronze strings are made of 80% soft copper and 20% durable zinc, presenting a smoother, mellower tone than Phosphor Bronze acoustic strings. They tend to assume a warmer glowing tone, but the ultra-lightweight Nanoweb™ coating lets them move freely, giving their tone some of the gloss associated with more responsive Phosphor Bronze strings. 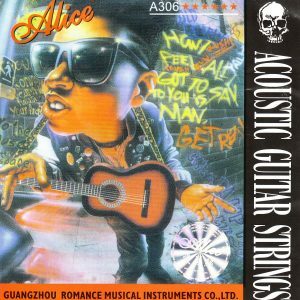 Acoustic Light-gauge Strings Made for Long Life and Great Tone! 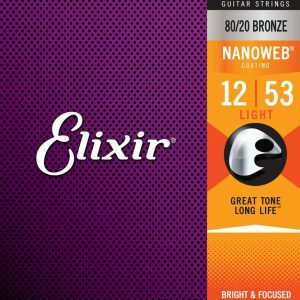 Elixir Acoustic Nanoweb strings don’t just sound great; their micro-thin coating keeps them sounding great for a lot longer than average strings. If you want to keep your guitar tone consistently great day in and day out, put on a set of Elixir Acoustic Nanoweb strings. Their coating actually cuts down on unnecessary finger friction. You’ll be amazed at how long they last! Less string changes means having to buy strings less often. Elixir’s Phosphor Bronze acoustic strings have a brighter, shinier tone than the 80/20 bronze variety. And since they’re coated with Elixir’s Nanoweb coating, they keep their bright tone longer than most conventional strings. 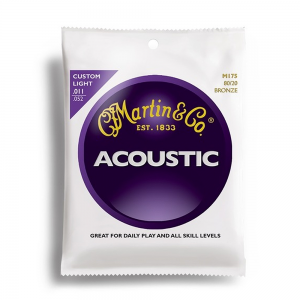 The Martin M175 80/20 bronze custom light acoustic guitar strings are high-quality strings made to withstand the grind of daily use. Core and wrap wires must meet strict requirements in order to make the grade and are wound to precise specifications to give you a better experience. 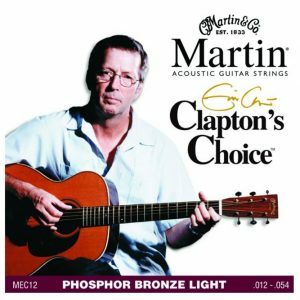 Clapton’s Choice acoustic guitar strings are engineered for an abundance of clear, warm tone with a brightness that delivers expressiveness and highlights individual style. 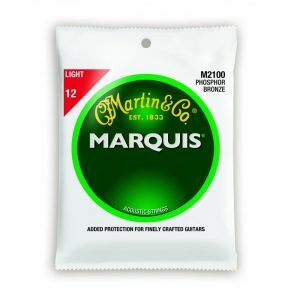 These phosphor bronze strings feature a 92/8 blend and classic Martin quality for hour after hour of enjoyable, toneful play.